April 9, 2010 –“Ernie Harwell Day” (This is a tribute to Ernie Harwell written one month before his death. There is also a new post and a poem dedicated to him as you scroll down. The Michigan Legislature has made a proclamation determining that Friday April 9th will be a day to honor Detroit beloved Hall of Fame broadcaster Ernie Harwell. “Ernie Harwell Day” will be the home opener when the Detroit Tigers face the Cleveland Indians at 1:05 at Comerica Park. Ernie Harwell, a Southern gentleman born and raised in Georgia, started in the newspaper business and before beginning his radio career. He spent 55 years broadcasting Major League Baseball, beginning with the Atlanta Crackers in 1943 and moving to the majors with the Brooklyn Dodgers in 1948; and in 1960, starting a 42-year run as the voice of the Detroit Tigers. Ernie Harwell Day is a bittersweet holiday of sorts as everyone knows he is in the last days of his 92 years of life, his body wracked with vicious cancer; but his soul and mind, still kindhearted, Christ-filled, and optimistic. On a September day in 2009, ESPN announced that he had an inoperable tumor and after surgery and treatment, he was not going to continue with medical treatment. Not once did Ernie Harwell give up on his life or feel sorry for himself. He didn’t crawl into a hole. He did what Ernie Harwell has always done, relied on his faith in God and the love of his family including his wife Lulu, and continued living. He attended a Tigers game and thanked the fans of Detroit for all their support. They returned the favor with signs and standing ovations, showing what a beloved man he is. Harwell has had a grand life. Just to be a radio broadcaster for 55 years would be an amazing life, but he was a poet, songwriter, lecturer and feature writer—and that’s just naming few entries in the resume of his life. Many people don’t know he was a legitimate songwriter and actually sold over 60 songs to singers who have recorded them. ”Needless to say, I have more no-hitters than Nolan Ryan,” he told the Detroit Free Press in 2005. His illustrious career began in Atlanta, Georgia where he started first as a paperboy, then a copyreader and headline writer for the Atlanta papers (delivered papers for the Georgian, and wrote for the Atlanta Constitution). He and his two brothers grew up with a father who had multiple sclerosis and eventually was confined to a wheelchair. After his father’s 30th birthday he was unable to work so Mrs. Harwell became the breadwinner, working as a caterer. In Ernie Harwell’s days in Atlanta, one of the most exciting things he was involved in was the 1939 world premiere of Gone With The Wind in Atlanta. The stars came to town and Atlanta was transformed into an “Antebellum” town with fake fronts on the buildings making them look like they were from the 1800’s. Clark Gable, Vivien Leigh, Olivia de Havilland, Ann Rutherford and other actors arrived along with producer David O. Selznick to much hoopla and fanfare. It was the biggest thing to happen to Atlanta and some people feel Gone With The Wind and the big premiere helped the city on the road to what it is today. At the time it was not the thriving metropolis it is today, but the people of Atlanta did their best to showcase their city to Hollywood and the world. Life magazine sent some hotshot photographer to cover the event and the local newspapers did their best to scoop the national magazine. Ernie Harwell had great memories of what it was like to cover the event which he shared in the book The Making Of A Masterpiece, The True Story Of Margaret Mitchell’s Classic Novel, Gone With The Wind (www.GWTWbook.com). He wrote the Foreword to the book. Harwell’s whole family knew Mitchell as his mother had been her caterer, his brother was her friend, and he had been her paper boy. He and Lulu got to know Mitchell and attended events in her honor with his brother Richard, an author who wrote about the Civil War and Gone With The Wind. Detroit writer Tom Rademacher once wrote that Ernie Harwell was “the most powerful and influential man in all of Michigan” and “has only to utter a word or two and his public melts.” People in cities who had top-knotch baseball announcers can relate to what he is saying. In St. Louis, we had Jack Buck. If a Cardinal player had jumped teams and it was assumed the crowd would boo him in his first appearance back at Busch Stadium, all Buck would have to do was say, “and I’m sure the fans will show him their appreciation for all he did as a Cardinal” and the player would get a standing ovation. There is a certain romantic (not in the boy-girl romantic, but in the ‘how life used to be and was wonderful’ romantic) quality of the old broadcasters, because they bring out memories of staying up late in bed as children listening to transistor radios hidden under pillows. You could twist the dial and magically you were in Chicago, St. Louis, Pittsburgh, Detroit or wherever, listening to the baseball game. So when you think of Ernie Harwell, it is with reverence, dignity, and respect. He was like the Old South that was so eloquently written about in his beloved Gone With The Wind. Just as Ashley Wilkes did or did not do things because of his honor, that is the way Harwell lived his life. He spoke at prisons and pie-baking contests. He was comfortable with famous people, but he was just as nice to the workers at the senior facility where he spent his last years. Countless sportswriters around the country are writing articles on Ernie right now and many think of him as one of their best friends. He would take the time out of his busy schedule to write to a sportswriter and thank him (or her) for writing a nice article about him. This writer received a complimentary hand written letter from him after he read her book. The author Curt Smith, who among many books wrote Voices Of The Game, was friends with Harwell. Smith has a wonderful way with words and I liked the quote he had in that article. 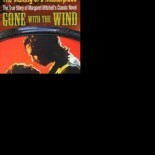 More on his involvement with Gone With The Wind can be found under ABOUT Ernie Harwell at www.GWTWbook.com. Posted May 4, 2010, Harwell’s last day on earth. Ernie Harwell knew author, Margaret Mitchell and it was his great joy this past year to write the Foreword to my book about Gone With The Wind. He told me he enjoyed it because it brought back so many memories of his childhood and youth when his family lived in Atlanta, Georgia and knew Mitchell. The day before ESPN announced he had cancer, Ernie called our house to wish me well on the book and thank me. That phone call meant a lot to me, but that is just how Ernie was. He was a very thoughtful and wonderful man and I was thankful to get to work with him on the Foreword–one of the last projects he worked on. Ernie Harwell is in the Baseball Hall of Fame. His passing made me nostalgic about my love of baseball. I hope you enjoy my little tribute to Ernie and all the other great broadcasters, living and dead who make or have made the game so special over the years. I tried to get as many as I could but I know there are a few that didn’t make it. Those good old-time broadcasters we love to hear. Love listening to Mike Shannon and Vin Scully at the mike. Whether national or local, they can broadcast a thriller. I don’t know about you, but I miss Mel Allen. We get to thinking of all the fun we’ve had. The game is so pure; it’s so full of passion. As we pause and reflect on it, we know they’re a treasure. Do our kids even know what a transistor was? So we dodged the static on the radio dial. Satellite’s nice, but I miss Jack. Jack Buck was a legend, he was not afraid to cry. His words were like gold, he was a heck of a guy. These were the broadcasters who could make the crowd rowdy. These guys were so much a part of the game. But when it comes to baseball I miss Ernie. And the memories of his Opening Day poem live on. The signal seemed better when out in your car. Is it just me or did those days seem more fun? I don’t know about you, but I miss Harry. That old time baseball is what my heart craves. For the Phillies fans their hero was Harry Callas. We remember so many great things that they did. But with all this technology, it’s just not the same. Mom making popcorn for my Dad and me. By Sally Tippett Rains, author of The Making Of A Masterpiece, The True Story of Margaret Mitchell’s Classic Novel, Gone With The Wind (Foreword by Ernie Harwell) For more on Ernie Harwell: www.GWTWbook.com and also on the Ernie Harwell page of this blog. My husband Rob Rains is the sports editor of the St. Louis Globe-Democrat and he let me write a tribute to Ernie on the sports page of www.Globe-Democrat.com. To read it, go to the website and put “Ernie Harwell” in the subject line.